To celebrate Halloween, PNLab members gathered together and enjoyed a nice potluck dinner. We also had family members and significant others join us which was lovely. 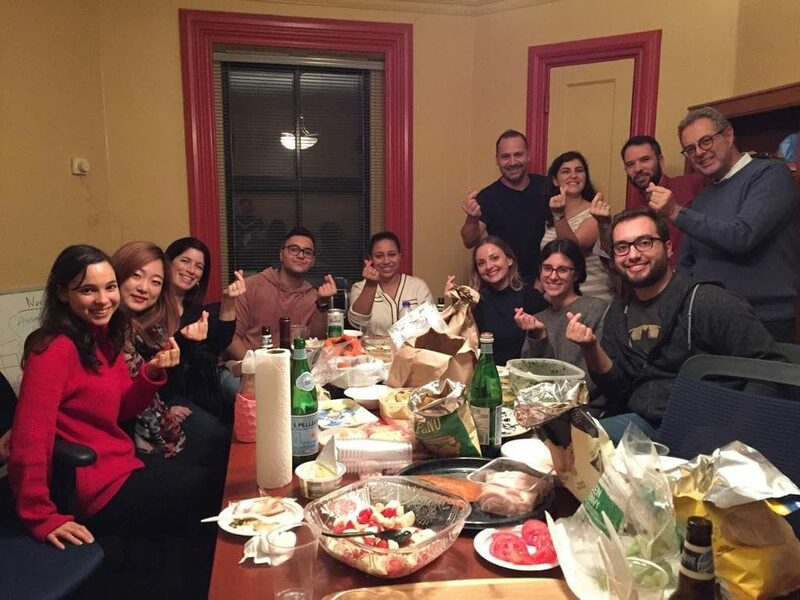 Everyone had a great time eating and socializing with lots of laughter and smiles 🙂 Given the diversity of our lab members (we have members from Columbia, France, Greece, Hong Kong, Italy, Korea, Lebanon, Scotland, etc. ), we enjoyed food from all around the world! And of course, we had something local: bagels from St-Viateur. Yum!